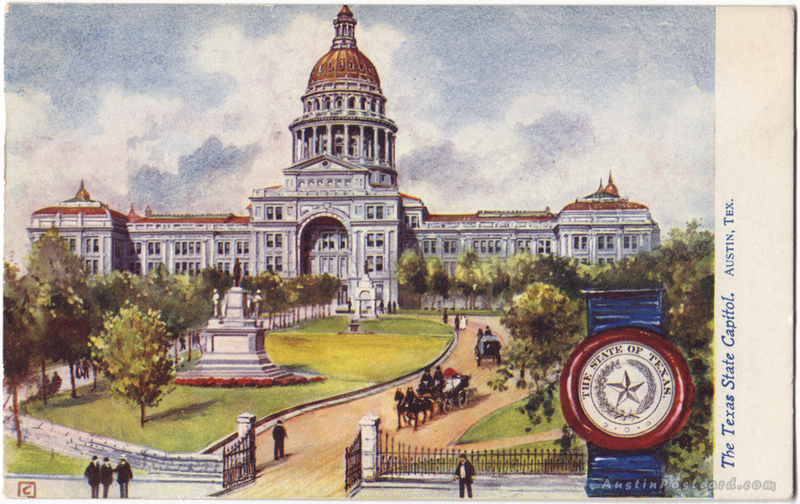 AustinPostcard - The Texas State Capitol. Austin, Tex. Postcards > State Capitol & Capitol Grounds > The Texas State Capitol. Austin, Tex. The Texas State Capitol. Austin, Tex. Text on Back: Texas, the largest State in the Union, has its State Capitol in Austin. Texas has an area of 265,780 square miles, and came into the possession of the United States as a result of American victory in the Mexican War. Texas is known as the "Lone Star State," from the emblem on its flag and State seal, and has as its State flower the blue bonnet. Texas was named by the Spaniards in 1690.